When I first opened the Tropicante, we wanted to put a lighted sign on the front of the building, but was quickly told, “no lighted signs allowed”. The city regulations specifically say that you cannot have any lighting that is directed toward the ocean, in an oceanfront building. The reason, I was told, was because of nesting turtles, and how it can cause newborn turtles to walk away from the ocean instead of toward it. This, as you might image, would not be good for the survival rate of turtles, which is less than 1%, even when they walk toward the ocean. I also found out that when you build here, and get the required environmental impact study done before a permit is issued, one specification is that there be minimal oceanfront lighting, and for the same reason; turtle preservation. Good for Costa Maya and Mexico for the effort to help with raising the survival rate of the near extinct ocean turtles. Over the last several years, environmentalist have begun to take up the cause of the sea turtles in the more populated and affluent Riviera Maya. In areas between Playa Del Carmen and Tulum, there are several groups now doing education and nest preservation. In our remote area, that preservation energy has been limited to a few private individuals trying to better educate the locals, with enthusiasm and bare bones budgets, and that is about it. Until now. A group called Littlefeet Environmental has begun preliminary research in the area, with the hope to start a more sustained program in the near future that will include hatcheries, organized local programs, as well as local education. Way to go Littlefeet!! 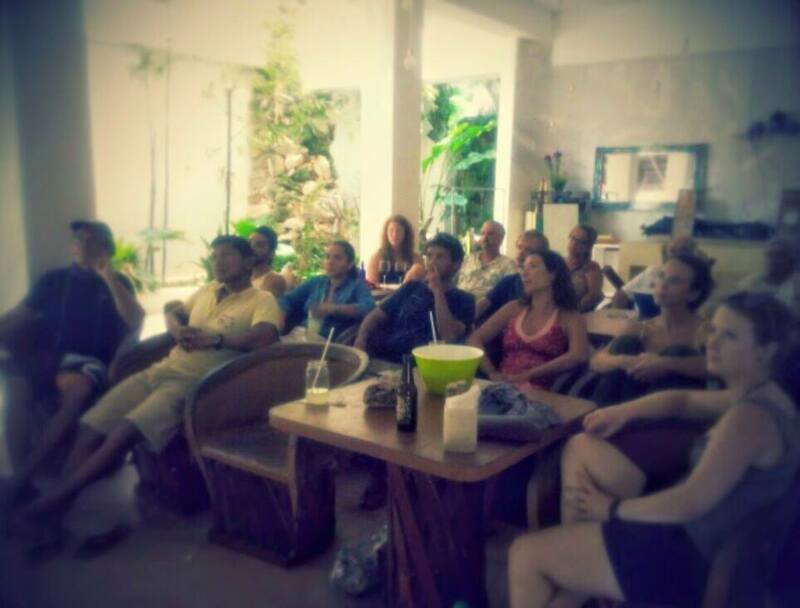 The group’s representative is a Kayla Noble, a research scientist from the University of Waterloo in Canada, and she has taken up temporary residence in Mahahual to do the preliminary legwork for the program. 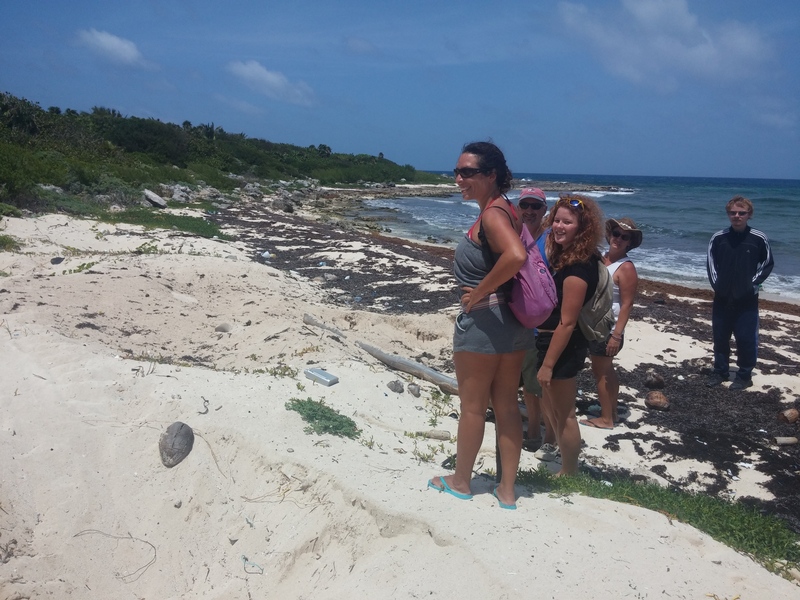 She is walking beaches, counting and monitoring the many nests we have along the local shores here in Costa Maya. The hope is the data will justify them implementing of a full program in the area, and Kayla, who has been visiting the area for many years, seems to think it will. The local waters and beaches are perfect habitat for turtles, which make it also perfect habitat for her program. 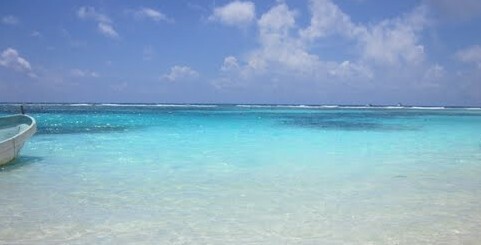 The organized groups in the Riviera Maya have drastically changed that all important survival rate in that area, and the hope of Kayla’s group is that a similar operation here would produce equal, or even higher numbers, because of our less developed beaches and low environmental impact regulations under which we are built in the Costa Maya. In addition to the hatcheries, the group’s goal is to educate the local population on how they can help increase the turtle survival rate, which is again, dismal due to many factors, mostly from birds, as they make the trek from the nest to the water after birth, or shallow water predators like barracuda, that gobble them up as fast as they hit the water. Not much the group can do about the ocean’s food chain, but keeping the birds off them and allowing them to be physically ready to swim, increases the survival changes and therefore, survival rate. That is where the hatcheries come in. By simply allowing the young turtles a bit more development time, as well as assistance into the water, the survival rate goes way up. But the group also believes that local education can make a measurable impact on that survival rate as well. Many locals will dig up nest as soon as the turtles lay them. That is of course illegal but in a world of financially strapped governments, finding the money to enforce the ban on taking turtle eggs is not going to happen and most locals know that. The remote beaches here are inhabited by fishermen, many who are poorly educated on the matter, who eat the eggs, they believe they have an aphrodisiac quality about them, or even use them to feed their beach dogs. Kayla and her group believe that by simply educating the local population, you can drastically alter the survival rate and they are 100% correct on that. As I said, the more affluent area of the Riviera Maya has been able to really alter that survival rate and it is because of the wealth that area has. Money means progress and because they have it, their programs have flourished. This program is no different and is also in need of funding help from private sources. If you can and want to help, check this donation page they have for more info on the project and a donation link. Anything will help! They also have a Facebook page too that you can get info from and communicate with the group as well. Kayla, and her local support group, are also doing a film night each week, showing different marine documentaries each meeting, as part of the local education program. These showings are free to the public and she will be there to discuss the film after, as a group, to better understand the film and to see if perhaps some of what was discussed can be done locally and how. Very good info for anyone interested in marine biology or local ecology, so send Kayla a note to check the schedule for future showings. Next Monday night, the film is supposed to be shown at the Tropicante, so watch our Facebook for an announced time. So if you see a pretty little blond girl, wearing a bikini and drinking a cold Corona, strolling the beaches of Costa Maya, well that is not Kayla, that is a tourist. But if you see a pretty little blond girl, strolling the beach with a clipboard in hand, that probably is her. Go say hi and perhaps you can give her a hand. Careful though, she might mistake you for a volunteer and put you to work. How fun would that be! What a great effort! Congratulations to Littlefeet and to Kayla and also to the many volunteers in Mahahual……..the perfect combination to get the job done!!! It continually amazes me ….how this town bands together with enthusiasm and love to keep our environment protected; to maintain a balance for a co-inhabitant lifestyle for residents and sea life. This reflects the unique and special people our coast draws to this area and I pray we can continue to keep it so!! I am so impressed with the work that is being done by Littlefeet in Mahahual! Congratulations to Kayla Noble and her team. Thanks Marilyn for sending this our way.